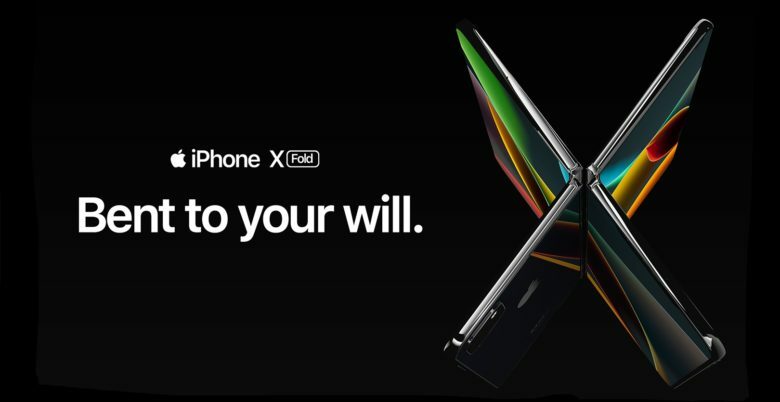 This proposal for the iPhone X Fold comes from Antonio De Rosa. He imagines a device with a 6.6-inch, 2960-by-1440-pixel external screen. The casing unfolds to expose an 8.3-inch, 2960-by-2880 pixel internal screen. There have been rumors that the 2019 iPhone will include three lenses, and this concept device includes the same. Apple recently received a patent for a hinge design in a foldable phone, proving the the company is certainly exploring the concept. And Corning is hard are work developing glass that’s flexible enough to be used in a fold up phone. This is anticipated in two years or less. Apple isn’t expected to release one until 2020 at the earliest, perhaps using Corning’s product. Samsung, Huawei and others aren’t waiting. They’ve rushed out folding phones with plastic screens. These are extremely expensive, and there serve more as public betas than real products.